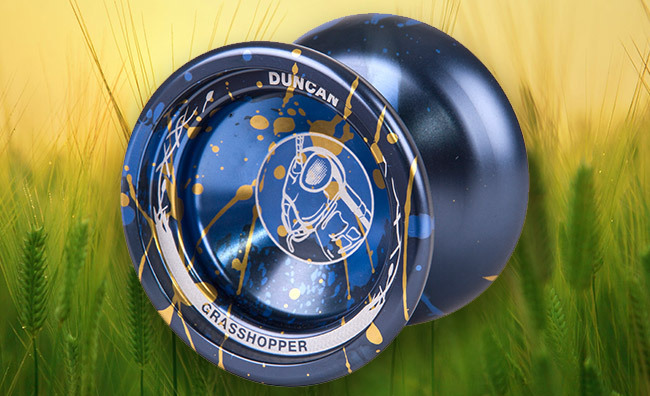 Quick on the string, organic shape, snappy binds: Grasshopper has landed! World Champion Janos Karancz brings a perfect yo-yo for the competition. Janos is well-known for his wizard-like string rejections, sideways play, and long combos. We took this yo-yo through 9 rounds of prototyping over a year and half, honing it?s play with each new iteration. 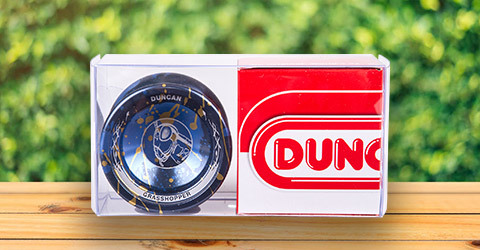 From everyday use to competition, Grasshopper will be your primary yo-yo. 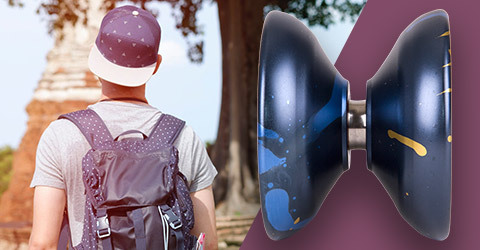 The Grasshopper is made of precision machined aluminum, and features a wide shape, licensed concave bearing and SG response system. Grasshopper is the newest signature of World Champion Janos Karancz! 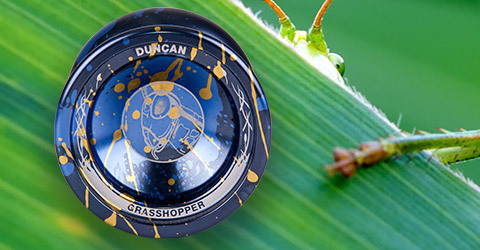 The Grasshopper offers one of the best values in Yo-Yo play, better than Yo-Yos twice its price!